From Rugen Distillery, who have been brewing beer on Rugen Mountain since 1892… they ventured into making whisky when the Swiss laws changed in 1999. Their 1st offering was “Mountain Highland” in 2003 and now regularly produce small batches, aged a minimum of three years in oak casks. The wort and distillation all take place on their distillery premises. This particular whisky is originally named Forty Three for its alcohol content – 43%. We sampled it as part of a European Explorations evening, just after a rather delicious Duetsch dram from DeCavo. So what did we think of the Swiss Highland? We had anticipated this would be a bit raw and harsh, to discover quite the opposite! It was again far more accessible and enjoyable than we had anticipated. Palate – Slightly woody notes are combined with coffee and chocolate leading to a light smoothness. A slight maltiness is felt at the beginning, which then rises beautifully in caramel and fermented vanilla bean. The fine balance between sweetness and strength give a special tension to the product, the soft creamy mouth feel creates an exclusive sustainability. I purchased this bottle at Wien Laden in Munich in November 2017. 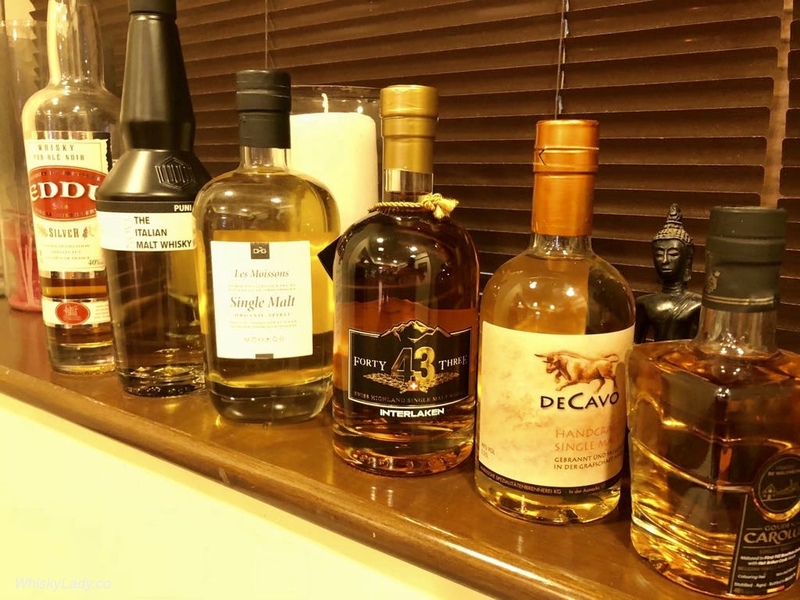 It was supposed to be an interesting experiment – exploring the boundaries of malts – with an organic spirit that technically is not yet whisky. 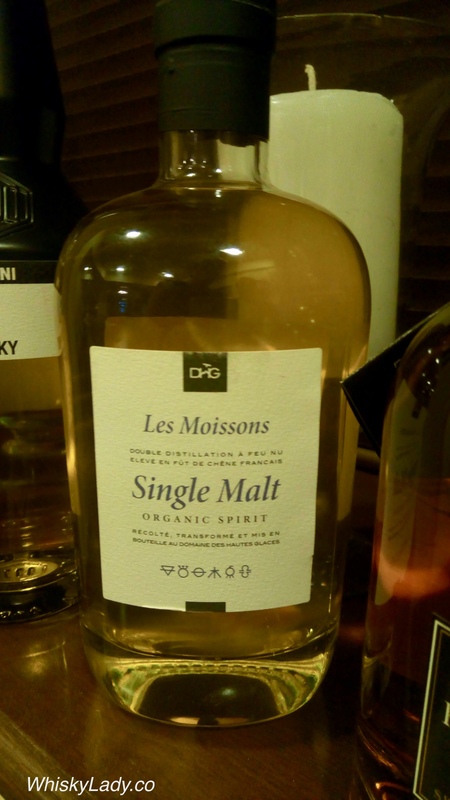 Les Moissons Single Malt is made using organic barley grown and malted on-site at Domaine des Hautes Glaces in the alpine region of south-east France with harvests from 2010 to 2012. Matured in a combination of virgin oak casks and those which used to hold either Cognac or white wine. Sounded interesting! And we were intrigued… Except there was a different kind of experiment at work – a bizarre swirl of something that started as a spot… then grew… and grew… from a few specs of dust into a fuzzy swirl of a dirty muddy sandy brown. Who knew such a thing is possible? But we are intrepid souls, so decided to open it up and try it anyways… what did we find? Palate – Believe it or not, we took a sip! And were rewarded with rotten pickle. After spitting it out and hoping no one would go blind, we were incredibly perplexed. How could a closed bottle of spirit go bad? And what exactly was this odd growth like substance inside the bottle? Is it really possible for a whisky to go off?! Turns out such a strange dusty sedimentation tends to be found when E150a i.e. caramel is added to enhance colour. After a few years, it can settle – particularly when stored, even more likely if in warmer conditions or direct sunlight. While I’m not completely sure when it was bottled, I bought it last year and it is pretty obvious that here in Mumbai warmer conditions applies. As for direct sunlight? Nope. Yet here is the challenge with the explanation in this case – the bottle specifically states no additives, not chill filtered and that it is natural colour. Hmm…. So what do the folks at Domaine des Hautes Glaces say? It is possible that what we found is actually what they intended? Nose: Powerful and refined, with hints of truffles, spices and white flowers, then we pass through fields of barley. The malt emerges hand in hand with aromas of candied fruit. Mouth: Deep and silky. Notes of almond paste, citrus and vanilla. The pastry texture runs into herbs and fresh figs. Finish: Firm and long-lasting. Its taste draws on underlying artichoke, dark chocolate and mint, with an aftertaste of apricot, lemon and earth. Can I just repeat? Hmm… Fungal vs truffles? Rotten fruit vs candied fruit? 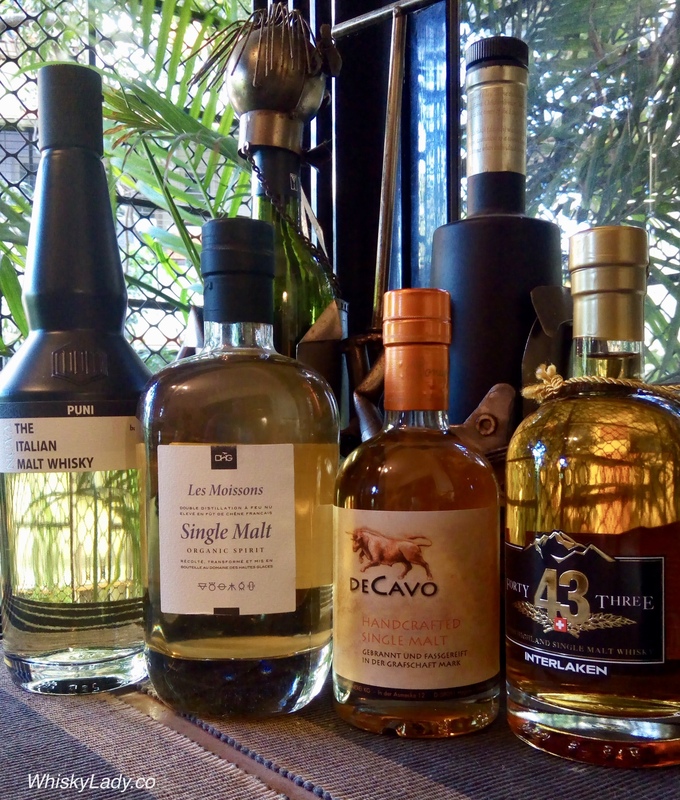 I guess we just chalk it up to an experience – yet another adventure in our explorations of the world if whisky and spirits! 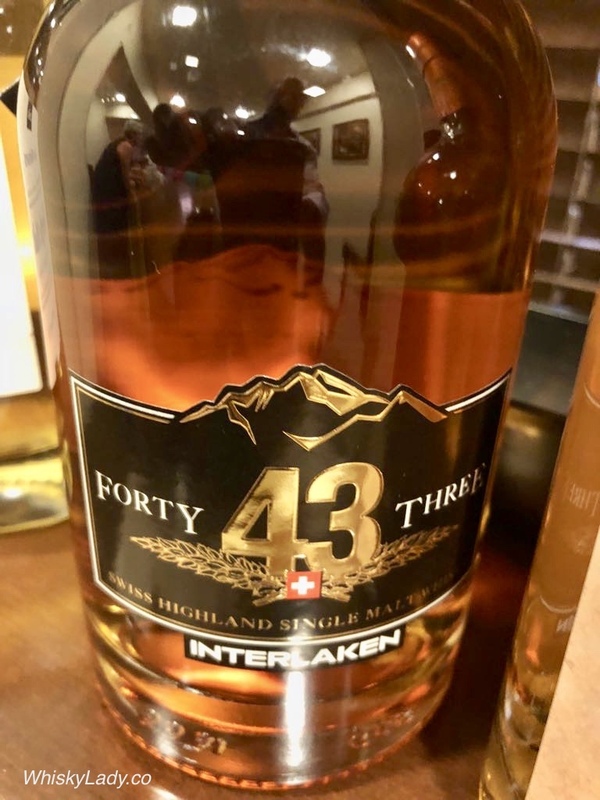 I purchased this at La Maison du Whisky for SGD 105, who suggested the possible explanation and offered to help with my next purchase from them… very kind. Over the last few years, I’ve had a few opportunities to explore European whiskies… so much so that I created a separate page devoted just for whiskies with European origins. I will also admit that the novelty factor is often higher than the quality factor. Hence I knew I was taking a gamble with this particular quartet – acquired over a few years for the Bombay Malt & Cigar gentlemen. And just because I happened to have an open bottle, I shared a snifter of Bretagne’s Buckwheat whisky Eddu Silver 40%. It was quickly quaffed, pronounced like calvados and we moved on to the main event! 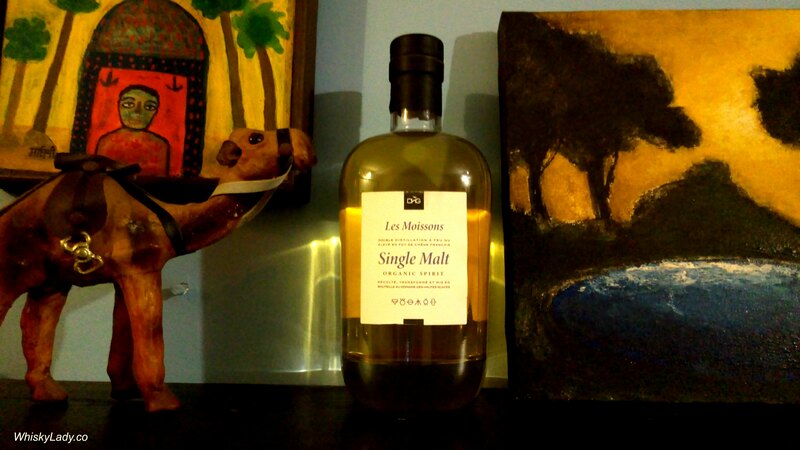 Our adventures in whiskies continued… with our first whisky from Switzerland. Langatun distillery is located in Langenthal and while new to us is definitely not a new kid on the block… It can trace its lineage to 1857 when Jakob Baumberger founded a distillery on his father’s farm. Their granary harkens back to 1616. And they are no stranger to peat, playing around with its use for over a hundred years. But what about the whisky?? Palate – Complex… finally a truly complex dram! Layers upon layers upon layers, coating the palate beautifully with rich balance, lots of sweet spices of cinnamon, cloves, allspice, quite dry, caramel, treacle…. Yum! Just as the Box Dalvve was a summer dram, the Langatun was clearly a winter whisky. 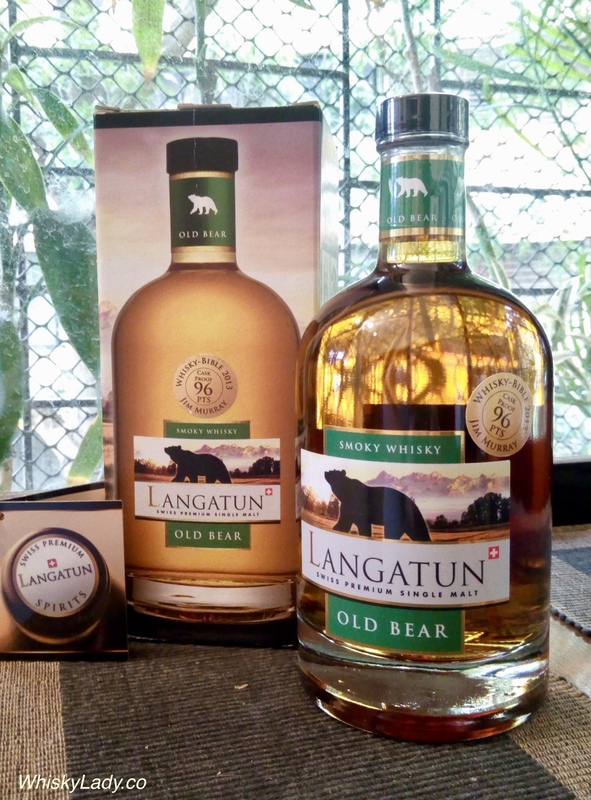 The “Old Bear” is a homage to Jakob Baumberger, who founded a distillery on his father’s farm in 1857, and who also took over a small brewery in 1860 in Langatun. The company logo of the brewery was in the coming decades the bear, the “Old Bear”. The “Old Bear” is prepared in the same way as the “Old Deer”, but with slightly smoked barley malt, therefore the additional name «Smoky». Incense is carried out as in the case of meat or fish: during the drying of the germinated barley, the drying air smoke is added, the aromas of which are deposited on the barley malt and reach the finished product through the further processing steps. The “Old Bear” is stored in oak barrels, where Châteauneuf-du-Pape was previously cultivated, a very strong deep red wine. Its traces can be found in the “Old Bear”: an intense red-brown color, in the nose beautiful notes of wood and smoke, in the taste a typical malt component and in the finish subtle smoky flavor with a slightly vinous undertone. Nose: Herbal and pine-cone freshness leaps from the glass, then richer aromas of vanilla custard and stewed red berries. Palate: More custard notes on the palate, subtle smoke and black pepper, along with stewed fruit, cake spices and toasty oak. Finish: Burnt sugar and cinnamon, with a hint of red berries. Purchased at The Whisky Exchange for £69.55 and sampled from an unopened bottle in December 2017.